“50 Years of Solo Travel-A Definitive Guide”, only available at Amazon.com I began solo travel as a young student. After five decades, I have covered at years’ end 71 countries and all 50 US states. If experience is the best teacher, I have the equivalent of a PHD in travel mishaps. I have: Arrived at my destination to find an unpublicized serious epidemic. Traveled to 5 countries in 18 hours after a flight cancellation abroad. Navigated low-grade civil wars and been assigned a security guard overnight. Became so sick I thought the overhead light was the sun rising over the Nile. Was robbed by an enterprising ban in broad daylight boarding a train. The good news is that I have come through it all without a serious illness and with an encyclopedia full of “trips of a lifetime” and tips to save you from hassles both while you plan your next solo travel and when you land abroad. Take the journey with us through our “50 Years of Solo Travel” to explore the more than 200 countries the world has to offer. 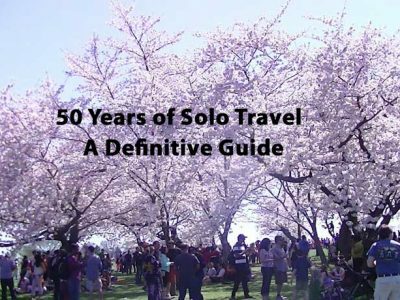 50 Years of Solo Travel-A Definitive Guide: Identifying the Problems: Whether you are new to solo travel or a long-time veteran, we can help you see that your next trip is your best one yet. Have you ever found that just planning your next trip abroad left you almost too exhausted to go? Have you run into so many road blocks while on travel you wondered how you were ever going to leave home again? If you add to the mix, going it alone with no “wing man”, you may find you have more questions than answers. Stumbling blocks that can wreak havoc in the midst of your trip of a lifetime: Missed/cancelled flights Lodging issues from overbooking to property’s closing Theft or loss of credit cards and cash Civil disturbance or serious health risk at your destintion Illness/injury while abroad 50 Years of Solo Travel-A Definitive Guide: Finding the Solutions: To save and savor on solo travel, see our more than 250+ tips on topics such as: Picking the right destination. Wrestling your budget to the ground. Packing to avoid fees and look your best. (My own goal: Take just one carry-on bag for 17 days.) Understanding current security restrictions and regulations, such as visas. Avoiding legal problems while abroad. Protecting yourself with the right travel insurance. Staying safe(r) in turbulent times. Finding creative ways to save once you leave home. Going alone without “going it alone”. Make it easy for yourself! Click the above link and for a nominal fee of $4.49 learn from my past mistakes. Put the fun back in solo travel. Solo Travel Pricing Tracker-Amazon Adventure: This was one of my favorite trips of all time. 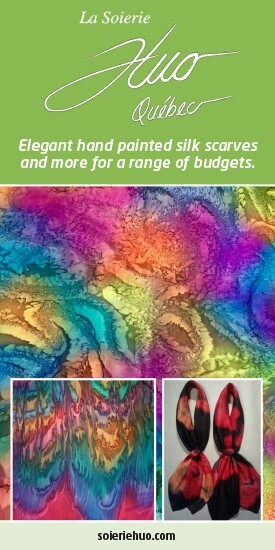 If you want best pricing, take a look at the rainy season. When I was there at that time, it only rained a few times. Down pours could be intense. The good news? They were very short , and the sun came back out fast. BE SURE TO SAY THAT SOLO TREKKER 4 U SENT YOU!! Solo Travel Pricing Tracker-Amazon Adventure: Why Brazil’s Amazon? It is one of the most eco-diverse environments in tne world. 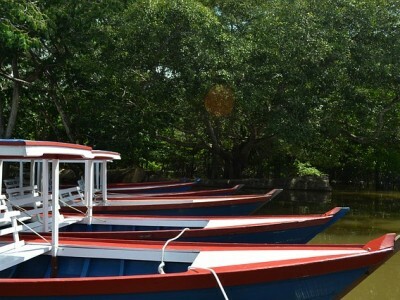 It is a great way to mix an eco-tour with an adventure. I recommend you do what I did: Fly in to Manaus, the capital of Amazonas. Spend the night and join a tour into the “jungle”. Click this link for bargain rates starting from $66 in a modern high rise. Solo Travel Pricing Tracker-Amazon Adventure: Staying Safe: As a solo traveler, safety is always something to consider. 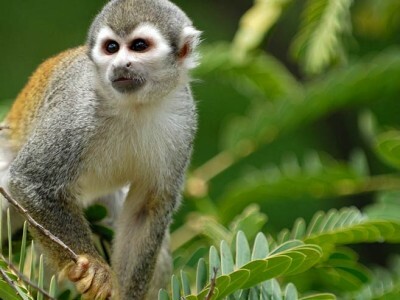 The Amazon does have lots of wildlife. However, as yuou will find, they are very shy and hard to find in the wild. As a result, seeing a jaguar is rare. However, Manaus is a city of 1 million so it is important to exercise caution. In addition, the nearby border with Colombia adds additional issues with the unfortunate world wide drug trade. I went as a solo woman traveler and had no problems. However, I stayed in a modern hotel that had adequate security. When I went out, I took a cab that worked out of my hotel. It was costly, but I felt more secure. 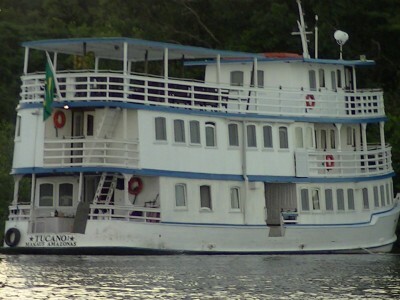 Lastly, I joined a great cruise Upriver on the Amazon. See this new deal below. Solo Travel Pricing Tracker-Amazon Adventure: 6 Day Tour: Day 1 -Reception at the airport or pick up at the hotel at 13:00 and transfer to the Ceasa port. By regional boat, via meeting of the waters, to Careiro. Then by van to Araca and speedboat to Amazon Lodge. Arrival. Dinner. Overnight. Day 2 – 05:30AM Departure for the for the Sunrise Tour. Breakfast. Preparation for safari. Introduction to basic jungle survival. Lunch. Departure in motorized canoes, travelling for about 3 hours until reaching a native “caboclo” riverside dwelling. Camp out. Dinner near riverside dwelling. At night, alligator spotting. Overnight sleeping in hammocks at river hut. Day 3 & Day 4 & Day 5 -Stay far out in the jungle. Camping and cooking out. Most of the time the excursions are done by paddling. Daily activities. Sleeping in hammocks. On day 5, in the afternoon, return to the lodge in time for the survivors cocktail. Dinner. Overnight in beds, ahh!!! Day 6 -Breakfast. Return to Manaus and drop-off at the airport or hotel at noon. For other adventure travels in the Amazon and world wide, please return to the Home Page and click the top tab for Solo Travel Pricing Tracker. 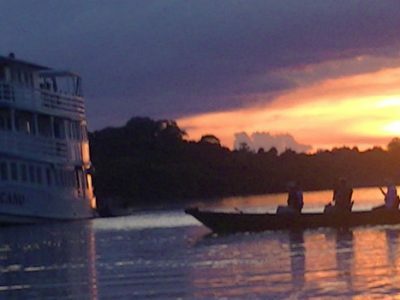 Top Solo Travel Deal Amazon Bargain: For a great economical Amazon adventure! Looking for an escape from the day-to-day-world, try out this adventure travel! Don’t let rainy season keep you from making your plans. I went Upriver on the Amazon for Christmas. There were only 3 times that it really rained hard. The good news? It did not last long. Top Solo Travel Deal Amazon Bargain: This was one of my most exciting trips. I flew to northern Brazil for this Amazon adventure for Christmas. It is a relatively quick trip via Miami from North America. Things to see and do: Highlights of Manaus, capital of Amazonas with 2 million inhabitants: – Manaus Belle Epoque Opera House – Bosque da Ciencia. 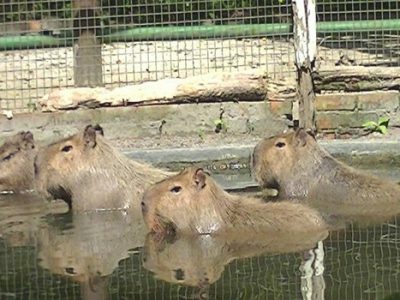 (Science center with unique wildlife in the ir natural habitat) – Hotel Tropical Zoo walking distance from the hotel (Certified wildlife refuge) -Easy access to day trips in the rainforest -Connection for upriver explorations I recommend combining a few independent days to see wildlife in Manaus and then join a small boat cruise upriver. 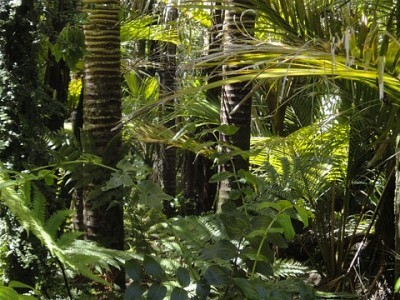 (It can be difficult to see them in the dense rainforest.) For our suggestions, please see Amazon Trips. 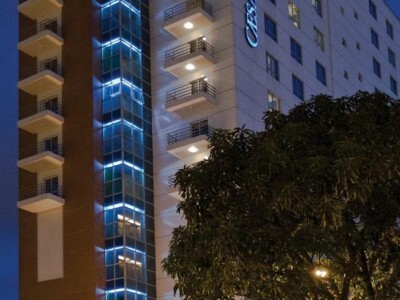 Top Solo Travel Deal Amazon Bargain: The Caesar Business Hotel: This small hotel is located in Manaus. Although set in the Amazon, you will have all the comforts of home. 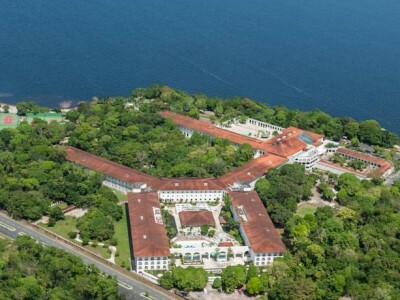 This 4 star hotel is in the heart of the Brazilian Amazon. You will be only a 10-minute drive from the city center. Taxis are available right from the hotel. The modern rooms at Caesar Business Hotel include free WIFI, a TV, private bath and minibar. The hotel also has a fitness center and hot tub for your use. You will have a choice of 2 international restaurants plus an on-site bar for cocktails. This is the ideal spot to take an independent Amazon adventure trek. Alternatively, you can connect with a local tour or river cruise. For more information on this, Top Solo Travel Deal Amazon Bargain, click the link. For other options, please go back to our home page. 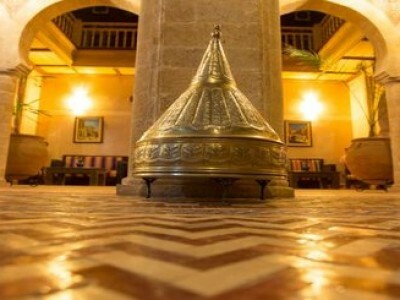 You will find hundreds of alternatives in our Booking.com search box. 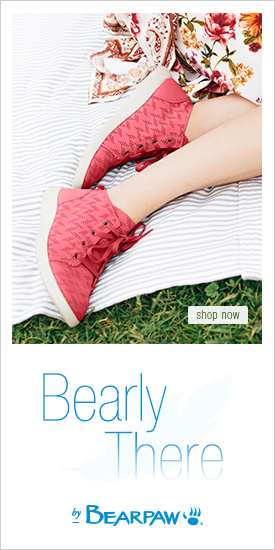 Specials are up to 42% off. In addition, take a look at the verified solo travel reviews.